On your trip to different places, make sure you experience its culture, try the local cuisines and interact with the locals. In some of the places like Rajasthan and Uttarakhand, you’ll find shops renting out traditional costumes. You can wear them and get your pictures clicked - a perfect souvenir to carry back home. Take a look at some of the beautiful traditional outfits from around the world. It may also give you an idea while dressing your kid for the fancy dress competition. 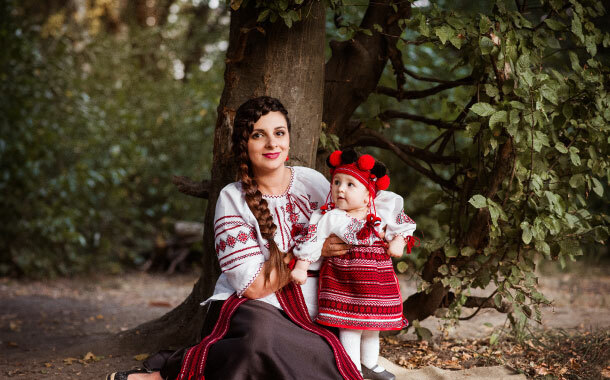 Dressed in the Ukrainian attire, the mother and the kid look fantastic, right? The beautiful embroidered shirt is called Vyshyvanka. In the olden times, the thread of the clothes were coloured using berries, bark, leaves and flowers which gave the outfit a natural touch. In Vietnamese‘Ao’ is a shirt and ‘dai’ means long; this national costume implies a long shirt which is worn over pants. This simple and elegant attire is worn both by men and women. 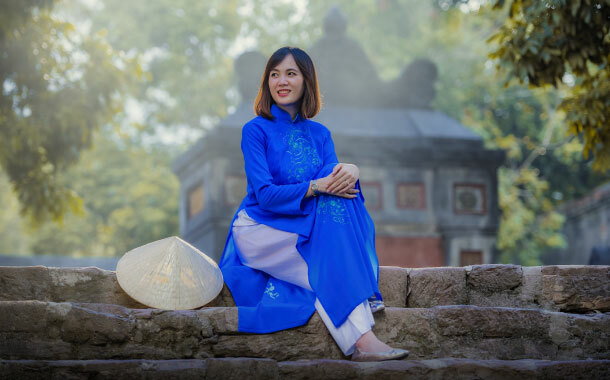 On your holiday to Vietnam, you’ll find the Vietnamese very attractive in this tight-fitting silk tunic. 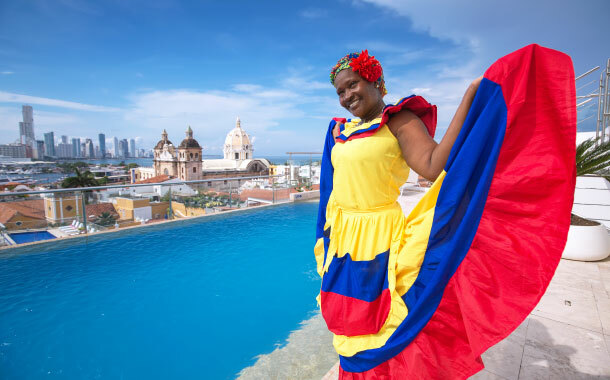 The traditional wear of the Colombians is the ‘Pollera’. It’s a big one-piece colourful skirt-dress. A beautiful outfit with frills, you’ll see the women dressed in ‘Pollera’ in a number of designs and colours during traditional festivities. The floral prints are the most popular ones. The dress material used is either wool or cotton. ‘Hanbok’ is the traditional costume of the Koreans. From ceremonial to daily wear to functions like wedding and birthdays, there are all kinds of Hanbok, suitable for each and every occasion. In vibrant colours, it gives the wearer an unspoken charm, isn’t it? Nothing can beat the smile of a pretty little girl, right? Well, she’s dressed in the traditional Russian costume: ‘Sarafan’ and the ‘Kokoshnik’. The long jumper dress is called ‘Sarafan’; it’s worn both by girls and women. When you’re in Russia, you can spot this costume during the folk performances. The plain Sarafans are worn as a light dress during summers. 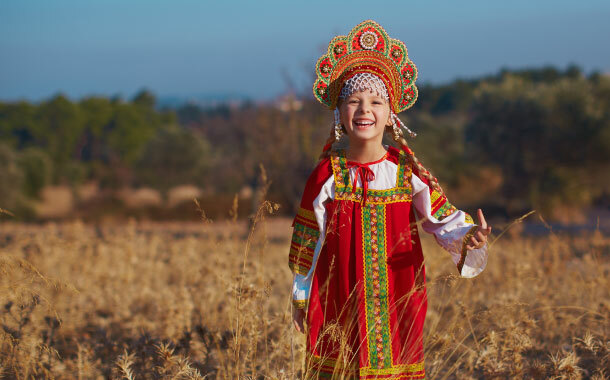 The headdress worn by the little girl is known as ‘Kokoshnik’ which complements the Sarafan. On your trip to Russia, you can buy these Sarafans as souvenirs and label them as ‘From Russia with Love’.